The Surge brought players deep into the high-tech CREO industrial complex, overrun by deadly machines, rogue AI and deranged exoskeleton workers. A Walk in the Park gives players a breath of fresh air by taking them to an environment that’s more open and colorful, though no less deadly. CREO World is an amusement park built by CREO for its employees and their families. Forget your cravings for cotton candy – CREO World was not spared from the Surge. The entire park is a deadly trap, where roaming rescue teams have gone insane and robotic mascots patrol freely, patiently waiting for new visitors to offer a deadly welcome. 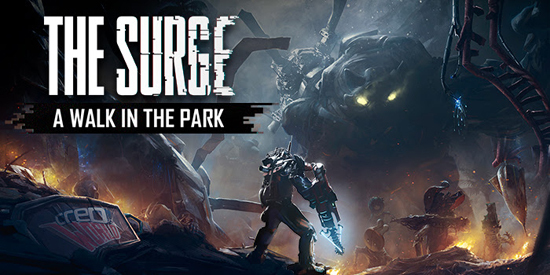 New players will also be able to embark on the ultimate Surge experience with the Complete Edition, which will include the full game and all its DLCs, including A Walk in the Park. The Surge: Complete Edition and A Walk in the Park are available today on PlayStation 4, Xbox One and PC.